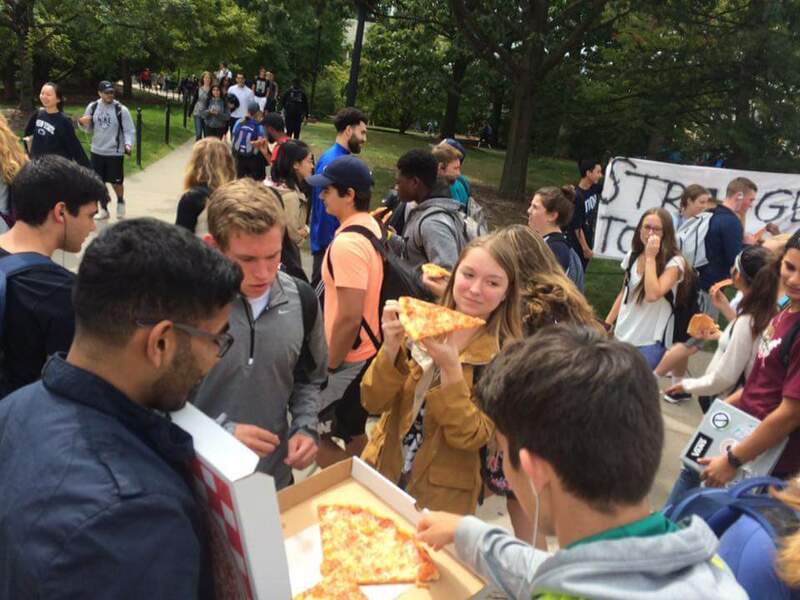 We’ll be joining our Muslim friends again on Friday, September 7th to hand out free pizza! Come join the fun! There is pizza for the volunteers afterward in Pasquerilla, so stay and make connections while you eat! Please email Alicia (ara2@psu.edu) if you are going to come volunteer, or you can just show up! Free Pizza Friday is held on the first Friday of the month and gathers Muslims, Christians and others who want to support our Muslim friends and neighbors!